The armies of the night number 60,000 strong, and tonight they're all after The Warriors - a street gang wrongly accused of killing a rival gang leader. The Warriors must make their way from one end of New York to their turf on the other side of the city. 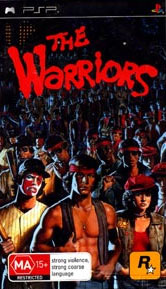 All that stands between The Warriors and their survival are 20 miles and thousands of street gang members. The army of gangs owns the streets and there's no turning back. They must fight for their lives and learn the meaning of loyalty as danger and uncertainty emerge from the city night. Rich, deep storyline including all the intense action of the movie. Incredibly varied gameplay with many different ways to fight or outsmart your enemies. Based on the cult film of the same name, The Warriors tells the tale of a gang fighting their way through the streets in an alternate type world where the gangs rule the streets and the cops simply do not have any sort of presence that matters. Heavily focus on melee combat, fans of the series will be pleased at how well the game pans out. Even though the game is fighting all the way through, there are so many ways that you can accomplish this that there is going to be a real need for a fair bit of practice in order to take on the toughies that you will face later in the game. Warriors is a sweet looking game and Rockstar as usual have delivered a slick looking game that plays like a treat. 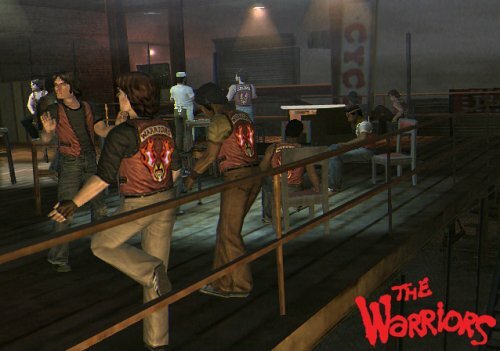 The nice thing about the game is that it doesn’t just follow the movie down to a tee, you start your adventure before the death of Cyrus that makes up the main focus of the movie, The Warriors. The action is intense and for those of you who like your fighters you are going to experience some full scale combat unlike that you’ve seen in some games. 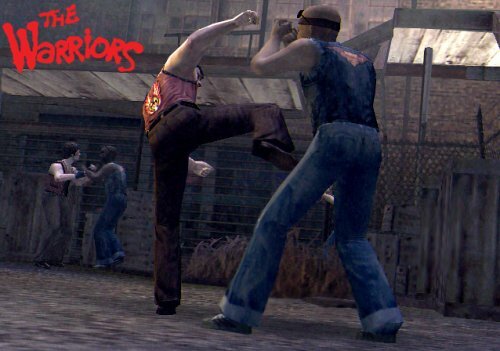 Snap necks and using short range melee weapons, The Warriors game fully captures the essence of the movie and then takes the experience to the next level. There are a lot of mini games that also make up part of the whole gameplay and story. The smaller missions may be things like stealing stereos or mugging passersby. It’s all a heap of fun and you can build up power and the ability to fight longer and harder etc. The title is a true extension of the film in terms of enhancing the overall way that you will view either medium. There is real character building potential that takes you beyond the movie and makes you care about the people who you see on the screen. You become one with the Warriors and its almost like a gang initiation. I’d strongly suggest that you take the opportunity to fight alongside the warriors and make it back to Coney Island in one piece. If you haven't played this on the PlayStation 2 than you better check it out for your PSP... it's almost identical in terms of gameplay, graphics and enjoyment!